Product prices and availability are accurate as of 2019-04-19 11:30:25 UTC and are subject to change. Any price and availability information displayed on http://www.amazon.com/ at the time of purchase will apply to the purchase of this product. The GQ GMC-320-Plus digital Geiger Counter is the latest model developed by GQ Electronics LLC, USA. 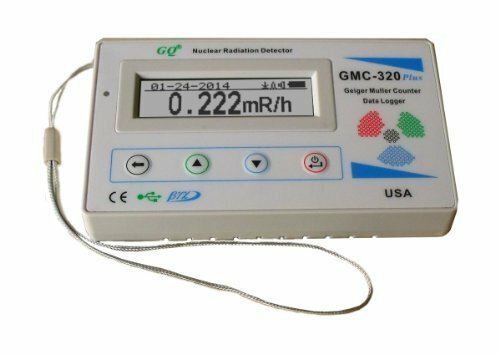 As an enhanced version of GMC-300E plus, it has larger internal flash memory to facilitate data processing capability. It also has temperature sensor & electronic gyroscope, LCD contrast control, front LED indicator, analog data port output, new graphic type. This product can be used for industrial, commercial or test equipment, such as universities, laboratories, environment evaluation measurement, hospital research, scientific analytical applications, antique evaluation, building material testing research and so on. Comparing to other brand products, the most prominent advantages of this product are: having most features and cost effective . It also has unique features, such as, record data first play it back later; open protocol for easy application integration; visualize real-time graph, data Logging. Portable and convenient with built-in audible and visual signals, it features automatic data recording. 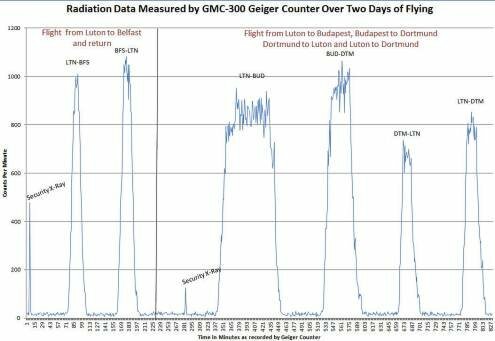 It is able to continually monitor the radiation and log the data each second into internal memory. 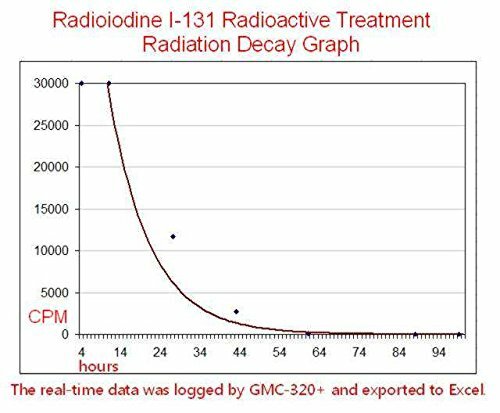 When connected to a PC, GQ software can download the radiation history data to the computer and the user is able to analyze those data later. The device uses USB port for communication and power. The internal battery can be charged via wall adapter or car adapter. Using the adapters, continuous data monitoring is possible and no worry about batteries charge or any data loss. The main board has a real time clock for time related data logging purposes.